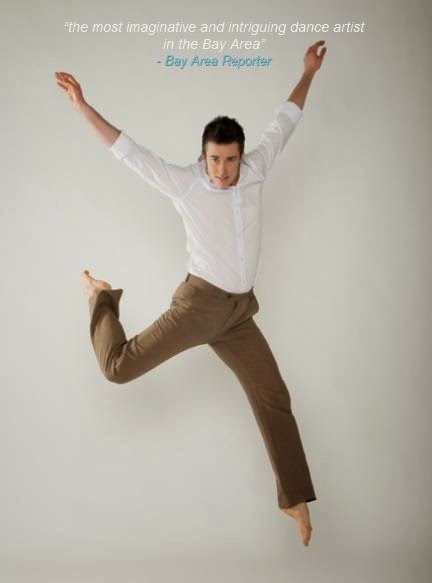 This is Sean Dorsey writing – I am a transgender/queer teacher, choreographer and dancer based in San Francisco. I am writing because I am coming to Fresno to teach a FREE LGBTQ-friendly dance workshop this October 25 & 26. I'm writing to ask you to join us, and to help put the word out to your community. I am a transgender and queer choreographer, and my dance company Sean Dorsey Dance teaches and tours across the US. Right now, we are touring our show The Secret History Of Love and teaching workshops in 20 cities across the US. My work deals with LGBT experience. I am the Artistic Director of Fresh Meat Productions (the nation's first nonprofit to create, present and tour year-round transgender arts programs including the popular annual national Fresh Meat Festival of transgender and queer performance). Part of our work is coming to communities that don’t get a lot of access to LGBTQ arts – so we are coming to Fresno! - free food and snacks to mingle and celebrate! This is powerful work and we'd love to connect with you! I am looking for “Community Partners” as I put on this workshop … Community Partners DON’T have to contribute ANY money to this workshop, but will just help us spread the word a bit. This means putting up a poster or flyer, or sending an email out, and sharing the event on Facebook/Twitter. And as a Community Partner, your organization’s name will be on the event. Please join us: we need YOUR help to reach local LGBTQ- and friendly people to come to the workshop! Looking forward to seeing you in FRESNO! - "The Secret History Of Love" -- a show about the underground ways that LGBT people managed to survive and find love in decades past. I created this show by traveling across the US and recording oral history interviews with LGBT elders - these elders' voices are part of the score. SOME PICS OF OUR PAST WORKSHOPS are attached too!